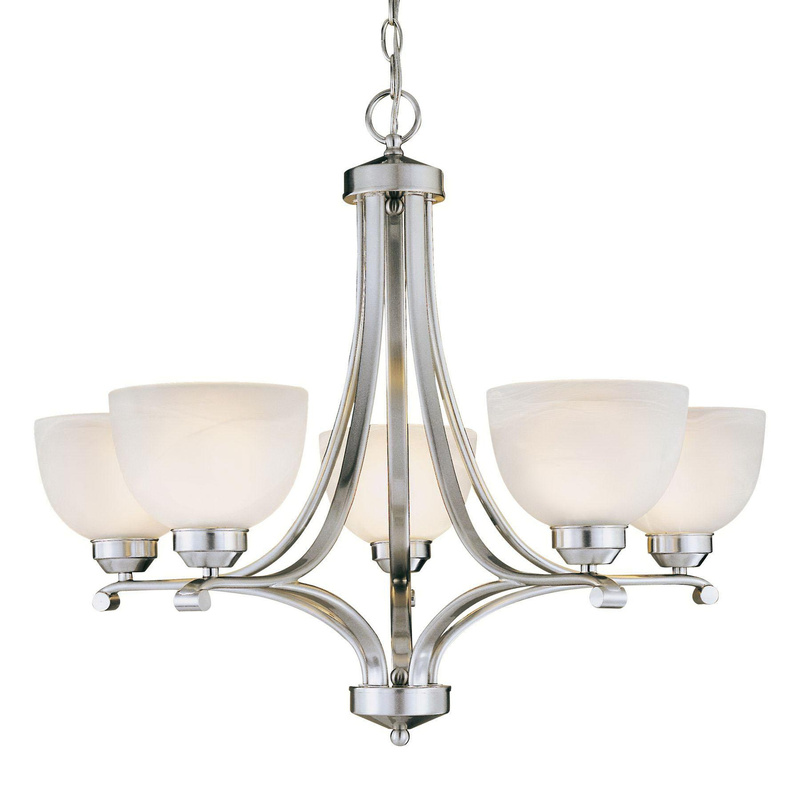 Minka-Aire Paradox™ Collection 1-Tier chandelier uses five 100-Watt A-19 incandescent lamps. The E26 medium socket lamp has voltage rating of 120-Volts. This contemporary chandelier has brushed nickel and steel construction. Etched marble glass shade brings elegance to the home. It measures 27-Inch x 27-Inch x 23-1/2-Inch. This chandelier has 72-Inch long chain/stem and 120-Inch lead wire for hassle-free installation. It is suitable for indoor lighting. Chandelier is UL listed and title 17 compliant.